Treat Your Kids With The Best of Both Worlds. With a Moonwalk and a Slide! Looking for something new? 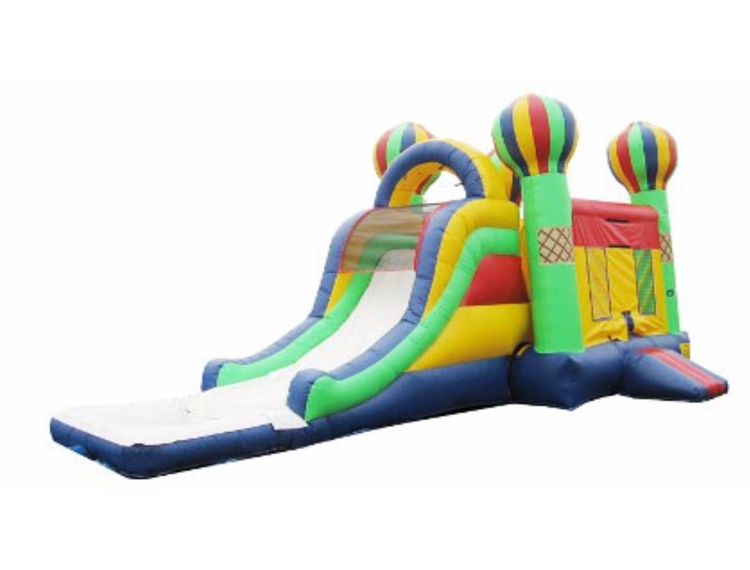 Check out our Moonwalk Slide Combo interactive rentals! The combos offer many interactive games such as slide, pool, bouncy area, obstacle course, and baskeball hoops that will keep your kiddos entertained. Choose a for your next party. The moonwalk slide combo interactive can be used wet or dry. 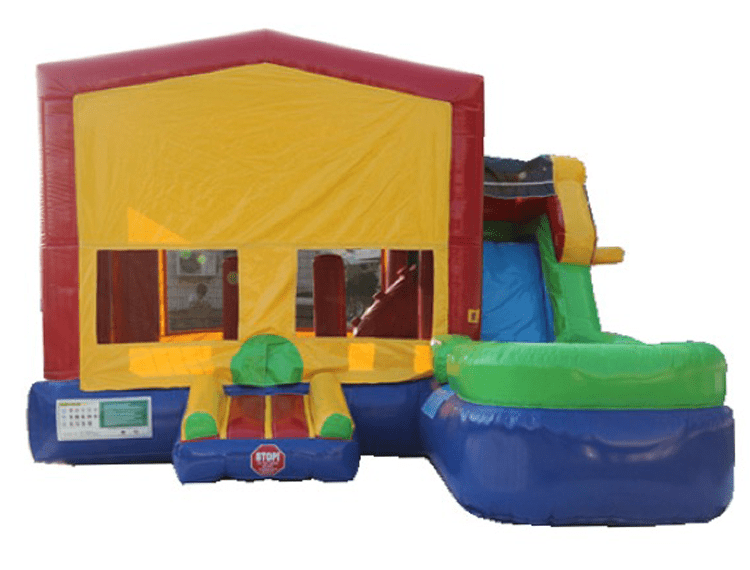 Check out our affordable Party Packages that include a Combo Moonwalk Slide and more! This Sea World combo features a bouncing area, ladder climb leading up to the top of the slide, and a pool. 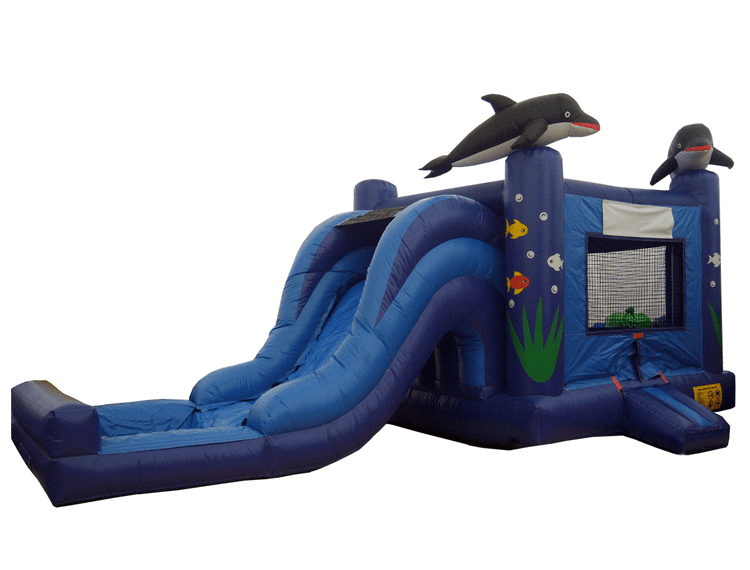 This moonwalk slide combo interactive with pool will make any summer party a blast! WOW! Our 6-1 combo has so much going on inside and out: It has two basketball goals, 1-inside and 1-outside on slide area. Jumping area has obstacles with climb area to the slide that can be used wet or dry. 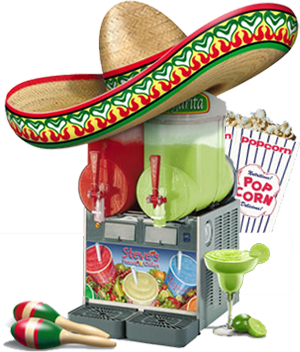 This unit can be themed with one of our many character or event banners! Call and book it NOW! Brightly colored carnival themed moonwalk slide combo interactive. The Carnival Combo features a bouncing area, ladder climb leading up to the top of the slide, and a pool. can be used wet or dry.